Release your inner princess and let everyone know who the bride-to-be is in this fabulous Bride To Be Tiara/Deluxe Diamante Tiara! Look radiant and elegant as your Bridal party pamper your every need and whim! 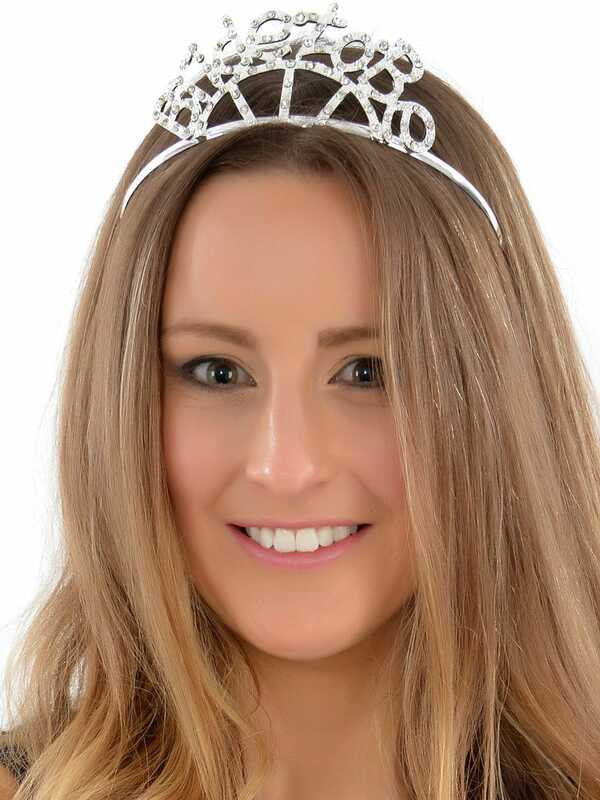 This gorgeous tiara features diamantes which tastefully spell out 'Bride to Be'. Why not add a cride To Be Tie, Bride To Be Wand, and a Bride To Be T-Shirt, to ensure that you really stand out! Don't forget that Hen Party Superstore offer free delivery on all orders over £30, so you can get all of hen party essentials with us at no extra cost!